In today's changing country music scene Buddy Lewis still remains Pure Country! Buddy Lewis has been a professional singer/songwriter for many years, paying his country music dues by playing the honky tonks of Texas and southern California. Only recently has his music become available to Country Music disc jockeys and Country Music fans worldwide. If it's classic country music with classic country soul that you are looking for then you will certainly want to hear Buddy Lewis' newest album. Born in Houston, Texas, Buddy Lewis cut his country music teeth at an early age listening to artists such as Jimmy Rodgers, Earnest Tubb, Merle Haggard and the like. As Buddy grew up he worked with artists such as Willie Nelson, Johnny Rodriguez, Lefty Frizzell, Freddy Fender, Doug Kershaw, and many many others. Buddy has taken his music to the next level by writing his own songs and recording them in his studio located near his home in the Ozark Mountains near Branson, Missouri. Buddy Lewis' new self produced album is now available worldwide to country music fans and disc jockeys. In addition to Buddy's self produced album of original songs, a new agreement with the OUTSTANDING RECORDS record label will make Buddy Lewis music even more accessible to country music lovers worldwide. A new album to be released later this year is in the works. In addition to Buddy's classic warm country vocals, he also is an accomplished, award-winning songwriter. Many of Buddy's songs have won acclaim from "Song Domain", a national songwriters' organization. 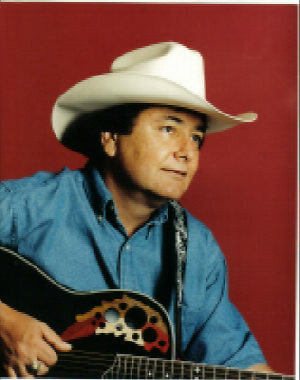 Buddy's songwriting has been described as "first-class traditional country music with tex-mex and cajun influences". Buddy's songs include themes such as cheatin', drinkin', Nashville, cowboys, truckin', and last (but certainly not least) true love. Buddy's upcoming album release with OUTSTANDING RECORDS will be full of original Buddy Lewis songs. If you like country, you'll like Buddy!